For Tipperary hurling, defeat in the 2012 All-Ireland semi-final was heartbreaking. 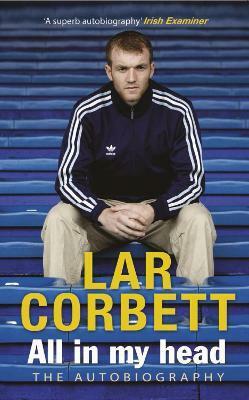 For Lar Corbett, it was devastating. Then again it has never been a straight road for the three-time All-star and 2010 â€˜Player of the Yearâ€™. Deemed not good enough to play for Tipperary at minor level, he was nineteen before his unique talent was identified by Nicky English, who gave Lar his chance in the All-Ireland winning squad of 2001. But this success was to be followed by years of despair as Tipperary hurling floundered, managers came and went, and a recurring hamstring condition left his career hanging in the balance. The turning point came in 2007 with the arrival of the â€˜dream teamâ€™ of Liam Sheedy, Eamon Oâ€™Shea and Michael Ryan. Encouraged to play more freely and to exploit his explosive pace, Lar soon became one of the most lethal forwards in the game. His three-goal blitz against Kilkenny in the 2010 All Ireland final is the stuff of legend. Following defeat in the 2011 All-Ireland final, Lar stepped away from the game in February 2012 but was ultimately persuaded to return for the championship. Then came the disastrous semi-final where tactical changes kept Lar largely out of the game and provoked unprecedented criticism from media and fans alike. In All In My Head, Lar offers a unique insight into what happened on that day and over the turbulent year leading up to it. This honest and revealing autobiography is a must-read for all fans of the sport of hurling.